Listen to the waves on the shore of the sandy beach over the road as you relax in this quiet spot adjoining extensive park lands and a playground. The beach is also safe for swimming. The park is within easy walking distance of the town centre and numerous other parks and scenic sites, including a heated water slide (in summer), a bird sanctuary and barbecues. 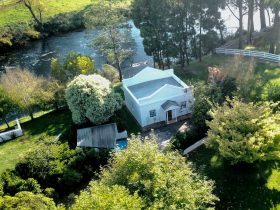 Situated centrally on the peaceful and beautiful north-west coast, Ulverstone is an ideal base for visiting spectacular Leven Canyon, Gunns Plain Caves, Lake Barrington and Cradle Mountain. 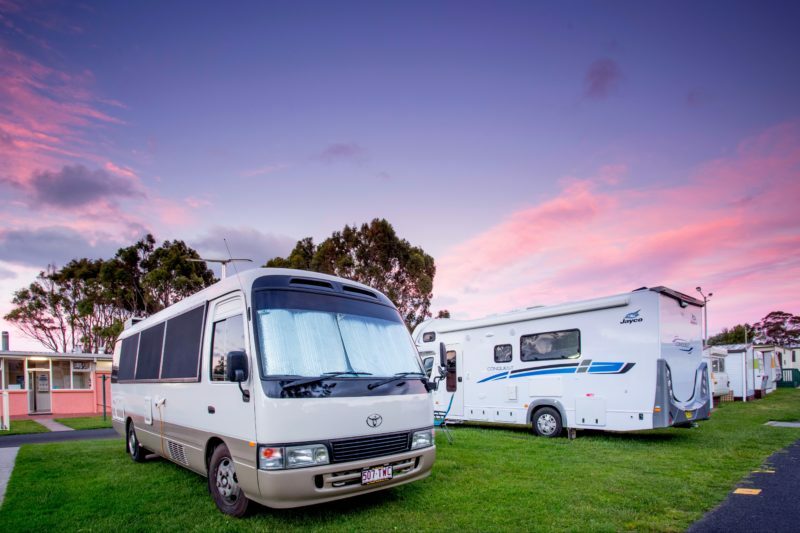 BIG4 Ulverstone Holiday Park offers a huge selection of level grassed sites with power, including drive-through sites, located next to large parks and playgrounds with two amenity blocks, a camp kitchen and electric BBQ’s. A great way to spend your holiday by the beach. 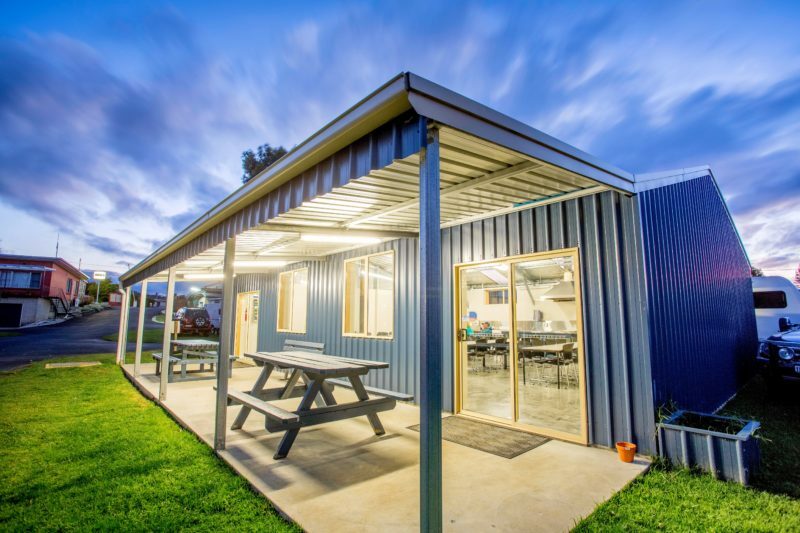 Large grassy sites which include the use of the camp kitchen, BBQs, amenities block/laundry as well as all other park facilities. 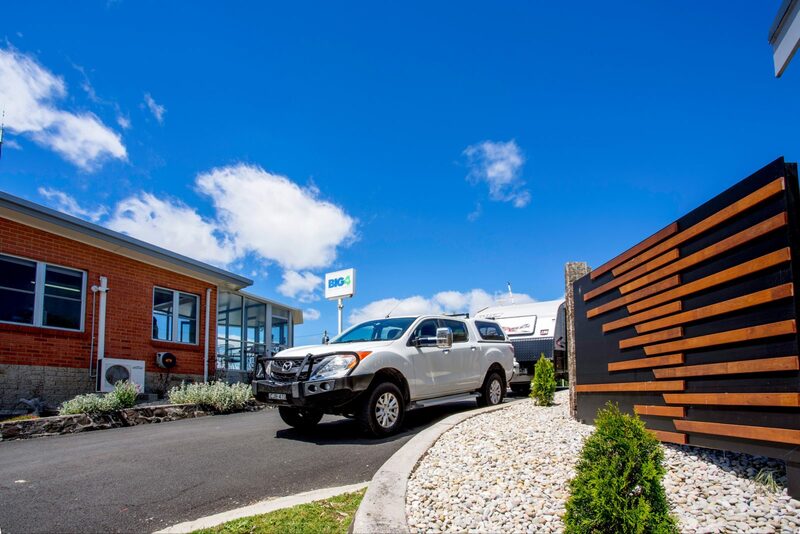 BIG4 Ulverstone Holiday Park offers quality two-bedroom accommodation that is great for travelling families. Cottages include a lounge area with sofa, a dining table and heating. 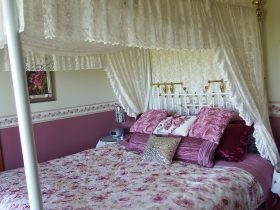 The main bedroom has a double bed, while the second bedroom has two sets of bunk beds (with all linen supplied). 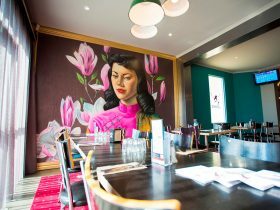 The kitchen is fully equipped with an oven, stove top and microwave, as well as cutlery, crockery and cooking utensils. Note that, children aged under nine years should not sleep on the top bunk for safety reasons. Quality accommodation ideal for small families and friends. 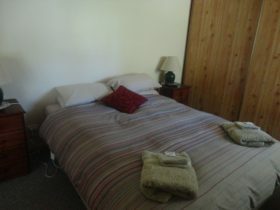 Two bedrooms – main with queen bed, second with twin single beds (linen supplied and beds made up). Roomy lounge area with sofa, dining table, reverse cycle air conditioning, and flat screen TV. Self contained kitchen with stove top, microwave and full size fridge, as well as all cooking equipment, crockery and cutlery. Bathroom with shower and toilet. Quality accommodation ideal for two couples. Two bedrooms each with a double bed. Sleeps 4. Linen supplied and beds made up. Roomy lounge area with sofa, dining table, heating and flat screen TV. Self contained kitchen with oven, microwave and full size fridge, as well as all cooking equipment, crockery and cutlery. Bathroom with shower and toilet. 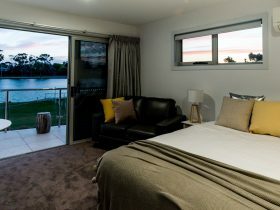 Our Holiday Units offer comfortable and spacious accommodation that include a roomy lounge area with a sofa, colour television and heater. The units have recently been refurbished and consist of two bedrooms with a queen bed in the main bedroom, and the second bedroom either has two singles (4 berth), or a single + bunks (5 berth). All linen is supplied and beds are made up. A self-contained kitchen with stove, oven, full-size fridge and breakfast bar, as well as all crockery, cutlery and cooking utensils means you hardly have to leave the comfort of your unit. Holiday units have a bathroom with a toilet and shower. 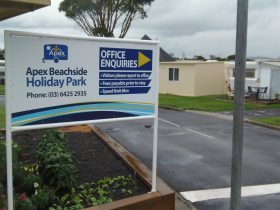 BIG4 Ulverstone Holiday Park Ensuite Cabins are a great option for those travelling on a budget. Clean and comfortable, these cabins offer a shared living/kitchen area with a sofa and dining table, television and heater. The kitchen has a microwave, a stove top and an oven, as well as cutlery, crockery and cooking utensils. The main bedroom has a double bed, and the adjoining area has bunk beds in a walk-through area. These cabins sleep four. Linen is supplied for all beds, and the cabins have a toilet and bathroom with shower. Children under nine years old should not sleep on the top bunk.